The speed and control of an electric actuator have been combined with the efficiency and precision of air cylinders in SMC's new E-MY2C and E-MY2H electric actuators. 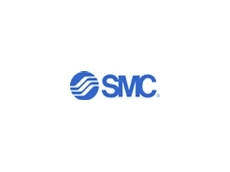 SMC Pneumatics (Australia) Pty Ltd has released a unique actuator that combines the operational benefits of an air cylinder with the speed and control of an electric actuator. 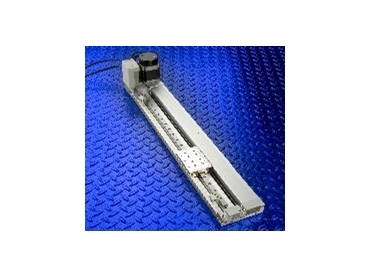 Available in either high precision linear guide format (E-MY2H) or with a cam follower (E-MY2C), both types offer stroke lengths of 50mm to 1000mm and can carry a maximum load of 5-10kg depending on size and bearing design. Two major advantages of the new range are the user-friendly way to program and operators have the option of selecting a remote controller for use in confined, restricted, or difficult to access spaces. In addition to promoting operational ease through such an arrangement, a remote controller located in an accessible position ensures fast, simple resetting after installation. Cables connecting the remote controller to the unit are available in 1m, 3m or 5m lengths as required. 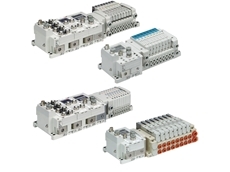 According to SMC mounting of the unit is easy, with three options available - mounting individually and directly on a profile, mounting collectively using a DIN rail mount, or using bracket mounts. 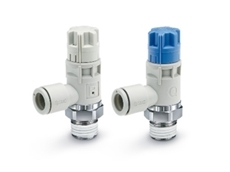 Although manual operation is possible if preferred, the actuators can be operated with the same signals as those used for solenoid valves. Furthermore, small incremental adjustments can quickly be made to the stroke by adjusting a simple bolt. Acceleration and deceleration speeds can be selected to provide impact-free stopping at both ends. The guided actuator table can be stopped at up to three designated intermediate points if required and, for easy maintenance, the actuating part and guide unit can be separated from the cylinder body. For maximum versatility in a range of applications and situations, the actuator's motor can be mounted on the top, bottom, left or right side of the unit.